I’ve wanted to do this for months. I’ve searched Google a number of times, and never found a suitable solution for sending ALL my appointment requests in Entourage to a specific folder. I finally hit on it today. The key? 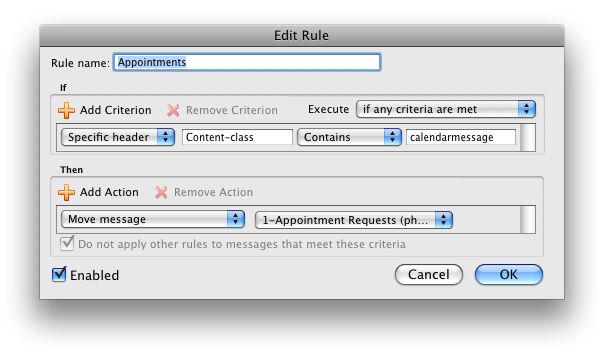 Use Specific Header 'Content-class' Contains 'calendarmessage'.